The Russians and the Lebanese are as far as I know the only nation to use helicopter to drop bombs like ground attack fixed wing aircraft. Has the US heard of the USMC or US Army doing similar with helicopters in any conflict? Photos shows a HIND bombs away with a 200kg bomb over Georgia. 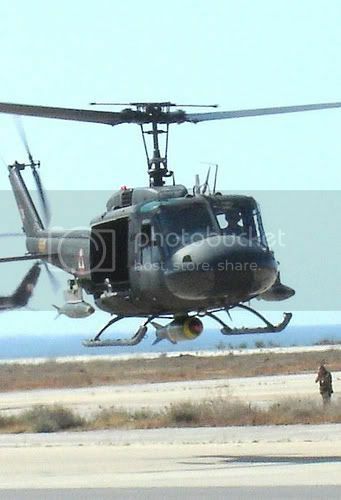 As i remember i had to see foto of Apache with bombs that looked like CBU-94/102 (at least appearance of bomb was something like that but bomb was more little, i think) but i don't sure. Where from did you got this foto? Has the US heard of the USMC or US Army doing similar with helicopters in any conflict? The US Army used CH-54s to drop 10,000 lb bombs to clear LZs in RVN. The Navy has dropped bombs from it's ASW helos since the 50's. The Navy dropped bombs from blimps. Then again, they weren't "ground" attack bombers. Dropping bombs on ground troops is really a dumb thing to do. Even if they only have rifles a helo would be a sitting duck. Give the troops a stinger or two or even wire guided things and a helo would be meat. Sounds like something the Russians would do. Actually i never heard Russian Air forces used airbombs from helicopters after 1991. Of cause FABs and BABs was desigened for assault aircrafts in Soviet Union but it was used in first period of Afghanistan war only. I had to see training bombings when served in army but our Mi-24s there used dummy bombs only and even at that time everybody talked it's absolutely useless weapon for attack helicopters. As You said it's pretty stupid tactics to use airbombs from helicopters when we need to appear up on heads of enemies. Of cause Mi-24 are heavily armored "junk monster", infantry rifles and heavy machineguns are almost useless against it. Stingers can to be threaty only to "naked" Mi-24 (practice shows it in Chechnya in 1999 - i had to see how terrorists launched SAM to one of our helicopters right by my eyes). Completely equipped Mi-24 can just to ignore most of SAMs because of it's mostly "doesn't sees" it. Only manually guided SAMs can to be real danger. 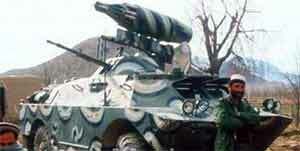 But... there's much more dangerous weapon against helicopters that plannings to use bombs - FLAKS. Chechens had some of ZU-23-2 Flak guns and guys from Torzhock losts one Mi-24 right because of this old weapon that can be very effective if to use it cleverly. 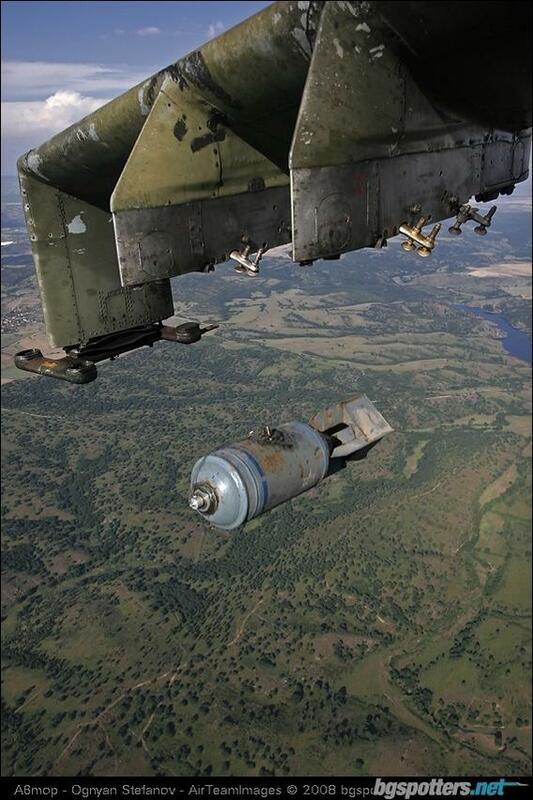 So, airbombs for Mi-24 are something like "unnecessary" weapon in modern Russian Air forces i think. Below is a very good video of the HIND and HIP in action recently in Chechnya. The rockets are 80mm type that the Russians developed when they found out that they could not hit the broad side of a barn with the 57mm rockets. According to most reports it is very accurate. Hopefully Zanin will give a brief translation of the radio traffic. The photos are of an ad hoc mounting (ie they come from pylons used on Lebanese AF Hunters) used during the Lebanon Army's fight to take over a refugee camp that a radical Muslim group had made their base. I posted a thread about it some months ago. Never saw those photos though. Dear Jack, this video is fragment of actual documental movie from Russian site that callings something like "face of war" (impossible to translate it directly). Actually this movie never was airied on TV because of actual explict scenes and comments of soldiers. This fragment shows attack on terrorists (Chechen fanatics with Taleban mercenaries) who on invaded to Dagestan in 1999 and when Russian army with Dagestan civilians begans to return fire. Voice of soldier: - Over there! Don't let them run! Comments of journalist: - Few of that [terrorists] who will survive after all of this would retreat hidely and will run back to territory of Chechnya for regroup. Voice radio: - Understood. We have here 3 of hardly injured, 5 with medium wounds. As i understood they runned right cross their own minefield there [he talking about terrorists]. We urgently need an aircraft for medevac them. Voice radio 2 (helicopter): - Team 29, this is 93th. Affirmative. Voice radio 3 (operator): - Sorry guys, it's impossible. Hold on them there and wait some, please. I just transfered your call to airfield. - End of video (i especially didnt translated explicts). Why doesn't the HIND just land and evacuate them. The Mi-24/35 has a rear compartment for eight soldiers does it not? 0 registered and 144 anonymous users are browsing this forum.